Whether you are new to PRINCE2, or are looking at re-registering your Practitioner certificate, this presentation takes you through a full PRINCE2 Overview in 40 minutes. You will leave this presentation with an incredible amount of knowledge transfer. WARNING: This session is very fast paced and content rich, so make sure you grab a strong coffee before entering. The management will not accepy any complaints from attendees not being able to keep up! Chris is a Change Leader who has successfully delivered portfolios, programmes and projects across all sectors. He is an accredited Trainer for Change Management and 10 more P3M Accreditations, Chris has made valued contributions to the Best Practice Portfolio, including White Papers commissioned by TSO. The session will consider how organisations implement strategy successfully using P3M, but remembering the “4th P – PEOPLE. Chris will explore the elements of Change Management essential for success and how these relate to Portfolio, Programme and Project Management. The session will conclude with an overview of the exciting changes for the APMG International Change Management Qualification planned for 2015, which include alignment with the Change Management Institute Body of Knowledge. Chris is a recognised thought leader in the PPM Profession having contributed to the development of some of the most popular global methodologies including PRINCE2 and MSP. He has over 30 years’ experience of delivering technology and business change projects and programmes and has advised many organisations on improving their PPM capabilities. Chris has delivered P3M training for over 20 years, and has 12 professional accreditations. He has trained delegates from board members through to those new to the profession, and presented at over 20 conferences. 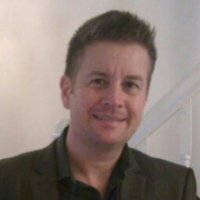 As a result of his background and experience working for large PPM consultancy companies, Chris leads the Consultancy Practice for Novare Consulting, working closely with clients to understand their requirements and to provide the best possible interim resources and consultants for their large scale projects and programmes. We provide an overview of major themes PMI sees emerge as part of our Pulse of the Profession(r) research and in-depth reports. Through 2020, 15.7 million project management roles will be created globally across seven project intensive industries. Along with job growth, there will be significant increase in the economic footprint of the profession: the project management industry is slated to grow by USD $6.61 trillion. This enormous anticipated growth, along with higher than average salaries, will make the next years an opportune time for professionals and job-seekers to build project management skills. Our presentation integrates PMI market research with data from other organizations like IBM, McKinsey, and the Conference Board, to name a few. When put together, the result is a global benchmark report on major trends in project management. Philip Diab is an executive level advisor and consultant with Booz Allen Hamilton. Philip is focused on strategic transformation and enterprise program management. He has extensive global experience in the professional consulting, oil & gas, information technology, financial services and insurance, construction, retail, and training sectors of business and industry. In his previous role as CEO of Leadership Formation, he provided strategic counsel, training, coaching and facilitation for leading global organizations. Prior to that Philip served several US based organizations including IBM and Blue Cross & Blue Shield. Mr. Diab written several articles and has authored a book titled “Sidestep Complexity: Project Management for Small and Medium Sized Organizations,” Project Management Institute, March 2011. Mr. Diab holds a Bachelor of Science degree in business administration from Birmingham-Southern College, an MBA in international management from the Thunderbird School of Global Management, and is also a Certified Project Management Professional (PMP). As the 2008 Chairman of the Board of Directors of the Project Management Institute (PMI), he led the premier professional association for Project Management with more than 500,000 members and stakeholders in 171 countries worldwide. In his 6 years on the PMI Board, Mr. Diab was instrumental in facilitating the development of PMI strategy and providing executive oversight in its implementation. Philip was awarded the PMI Fellow Award in October in 2011. Exam delivery has changed over the past year and is now more quality & innovation driven. To differentiate your organisation and grow your business you now need to offer added value services to the candidate. How can I increase my market-share? What can I offer to professionals to enhance their skills given today’s competitive market? What innovative solutions are available for our operators, trainers and candidates that can truly save time and cost? This presentation will provide answers to these questions, by giving an insight on how to differentiate, what to watch out for and the completely new and innovative exam experience PEOPLECERT offers. Michael McLaughlin has more than 25 years of experience in International Marketing and Sales with Siemens, Oracle, CA and other IT- related product, consulting and training organizations. He was the first EXIN International Regional Manager to open the North American market for Service Management in 2004 and acting as General Manager where he successfully built a large client base. Michael assumed the role of Regional Manager for PEOPLECERT in 2011 attaining 51% ITIL market share in North America since then. In 2013 he also assumed the role of Regional Manager for UK and Ireland. The Association for Project Management and recruitment experts Wellingtone have formed a unique career development alliance designed to provide the best career advice to project professionals. The alliance sees Wellingtone Project Management bring over 15 years of best practice recruitment expertise to complement the APM’s commitment to providing knowledge, standards and guidance to our industry. Managing Director of Wellingtone, Vince Hines, will present the latest project management recruitment data. What are current average project management salaries & contract rates? Which path is right for me; contracting or employee? How should you continue to develop your career? This presentation lifts the lid on recruitment, the types of agencies to avoid, tactics to be wary of and most importantly, pay rates. Vince Hines is Managing Director of Wellingtone Ltd – the project management specialist recruitment, training and consultancy company. 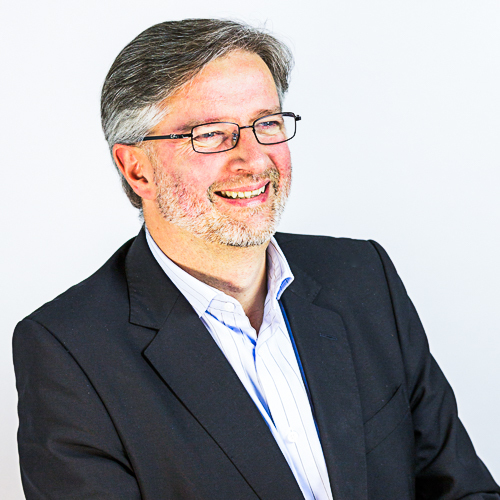 He has been helping organisations for many years and has worked with clients across the UK, US and Switzerland helping them improve their use of formal project and programme management tools and techniques. Vince brings extensive real world project management experience into the training environment and has successfully trained hundreds of project managers. Vince is recognised as a professionally qualified Member of the Association for Project Managers, Member of the Association for Cost Engineers and is a qualified PRINCE2 Practitioner. Incorporating the practical application of formal project management tools and techniques into the day to day environment is one of Vince’s key skills. I remember, as one of the directors of a small software house, proposing that something, claimed to be impossible by many technical experts, should be attempted on behalf of one of our clients. I believed in my team and I believed in my understanding of the technology. I knew that our client was committed but that this would be a significantly risky investment for them. They believed in us and the outcome was totally successful for all parties. The key to success was a motivated team involving everyone necessary and an approach which could be totally flexible. Were we Agile? John is a good communicator who thrives in a changing environment. As a clear thinker with the ability to stand back and take a view of the wider picture he is able to bridge the gap between business and specialist communities. With his broad based experience in varied business including Yorkshire Electricity (now npower), United Utilities, Manchester Training and Enterprise Council, ITSA (government IT services agency), Alstom Transport, Alstom Power, Foster Wheeler, Worley Parsons, Islington Borough Council, Cheshire East Council, the NHS, VESTAS, The Change Group (Copenhagen) he offers a solid, common sense approach to project management along with sound knowledge and experience of best practice. He offers experience of the full project / programme lifecycle from identification of the need to change through to assurance of sustained business benefits. PRINCE2 agile – there’s a new kid on the block! AXELOS are developing a PRINCE2 agile manual and qualification, the primary purpose is to provide additional information for those using PRINCE2 and who wish to develop their knowledge of how to incorporate agile approaches and techniques within their existing environments. The presentation may surprise as there is often a perception that PRINCE2 and agile are mutually exclusive. The reality is somewhat different and as the demand for using agile in more complex situations grows then this powerful combination may be just what individuals and organisations are looking for! Keith is the founder and director of Keith Richards Consultants (KRC). Keith has over 30 years’ experience in I.T. and project management. He is an accredited DSDM Practitioner and Trainer; an accredited PRINCE2 Practitioner and an IAF Accredited Facilitator. In 2007, Keith led the team that created DSDM Atern and in 2011 Keith was awarded “Most Valuable Agile Player UK” at the Agile Awards in London. Keith is also an author on subjects relating to management best practice and combining agile methods with PRINCE2. 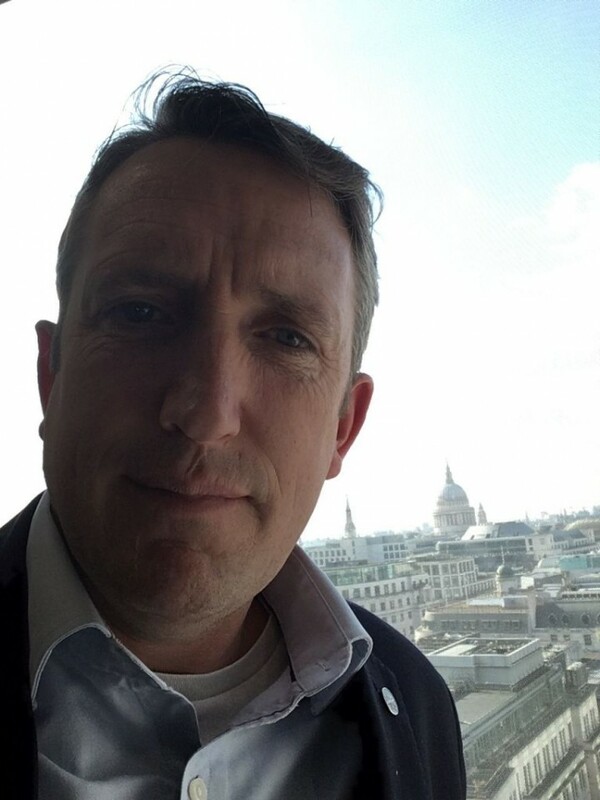 Mike Acaster is the PPM portfolio manager at AXELOS and looks after the maintenance and development of PRINCE2, MSP, MoP, MoR, MoV, P3O and P3M3. Mike joined AXELOS from its inception on the 1st July 2013 having transferred from the Cabinet Office following its decision to establish a joint venture company with Capita plc. Mike Acaster was originally appointed to the role of PPM Portfolio Manager in August 2007 in what was then the Office of Government Commerce (OGC) and has served as project executive for the rounds of updates and developments in the Best Management Practice PPM portfolio since then. This covers the 2009 revision to PRINCE2®, the revisions to M_o_R® and MSP® in 2010 and 2011 respectively, revisions to P3M3® in 2008/9, the development of P3O® in 2008, the development of MoP™ and MoV® in 2010 and 2011 and P3O in 2013. Mike is currently working on the revision to P3M3 to take account of the user feedback he has received. The term facilitation is not commonly used within UK and even within the APMG stable of courses we describe it as a specialist qualification. However the skill is key to parts of the work of a project manager and is used extensively when working on stakeholder management. This session introduces the Iceberg Process that is central to the APMG course and discusses some of the advantages of the use of professional facilitators within a project. Cath has been working in Education and Training for much of her professional career. She is one of the lead examiners for the APMG Facilitation course and one of the early adopters of the Better Business Case Course for APMG. Cath works as a consultant into various government departments and abroad when she is not training and it is this work that has made her passionate about these two courses. She walks the walk as well as talking the talk! So we are all project managers now? We are all project managers now,” says Peter Hepworth, CEO of AXELOS earlier this year. If this is true, it means now more than ever project managers have to differentiate themselves when it comes to managing their career. In this presentation Lindsay will explore what this statement means; what impact it may have and how can project managers differentiate themselves when considering their career. The presentation will include practical insights and advice that project managers can start thinking about and acting on if they want to stand out in a crowd where everyone is a project manager. 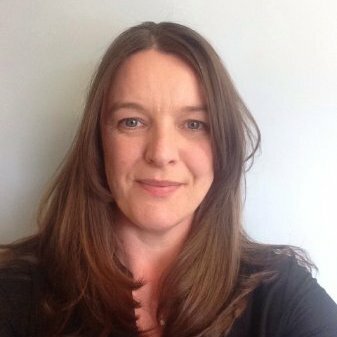 Lindsay Scott is a Director at Arras People, project management recruitment and career specialists. She is also PMI’s career columnist for PM Network magazine and regularly blogs on project management careers. She’s also founder of PMO Flashmob, the London networking group for PMOs. Project Controls cannot be easily learned especially as many organizations have no recognised career path to work from. With the Guild we have created a global career path and standards in Project Controls to enable one and all to practice project controls under our guidance. The Guild brings together two communities. 1) The largest community of individual Project Control practitioners worldwide, who are committed through their own exchange of knowledge, to create a set of standards for individuals involved in Planning & Scheduling, Cost Management, Forensic Analysis and Project Delivery which enables individuals to follow a recognised career path and be rewarded for differing levels of Excellence. 2) For employers, globally, to also contribute towards the stated standards of excellence recognising that they in turn benefit, not only in quality of project delivery, but also in recognising those employees who not only measure themselves against others, but also strive to improve at their job function. Simon Springate has over 35 years’ experience in Planning and for 20 years was the lead across London Underground on Project Controls with particular emphasis on Project Planning and Earned Value Management systems covering over £1B of annual capital investment. Currently Simon is Head of Project Controls for Europe at CH2MHILL. He joined CH2MHILL in 2014, he led Project Controls development in AngloGold Ashanti (Continental Africa Region) including a spell working directly on a Gold mine in Ghana. Before that it was 2 years in Qatar as Project Controls Director for Qatar Rail Company on a $35B programme to build Qatar’s entire rail infrastructure. Throughout his career Simon has supported the development of the project profession through active membership of the APM and their Special Interest Groups. Outside of the APM he is involved with the PMI, CPM, and Project Benchmarking, he was member of the Henley Knowledge Management forum and ran a Value Management client club. A key to project success is having some form of guidance to follow, and a key attribute of a good project manager is adapting this guidance to your environment. This is influenced by a number of factors: personality, lack of organisational-wide buy-in/support, unwillingness to change business processes, lack of infrastructure to support a corporate wide methodology, poor understanding of what benefits project management can bring, and/or limited environment whereby project management can be practiced, and the list can go on. Having guidance to follow and being able to use it effectively is only part of the project challenge. Use GUESS work – an acronym for being an effective project manager. Dr Ian Clarkson is Head of Project and Programme Management at QA, providing business direction and ownership of QA’s portfolio, programme, project and risk management curriculum. Ian is an experienced trainer, author, speaker and consultant, having delivered programmes and projects in all industry sectors. This extensive hands-on experience coupled with a background in education has made Ian well-known and highly respected in his field. Ian currently works with a team of highly experienced lecturers and consultants helping organisations excel in all aspects of portfolio, programme, project and risk management. When organizations value knowledge transfer and implement good practices to support it, they improve project outcomes by nearly 35 percent. This presentation looks at how people, culture and leadership impact how an organization collects, manages and shares knowledge, experience and lessons learned. It also identifies and discusses the five steps in the knowledge transfer life cycle. And you’ll learn how knowledge transfer can be used, should be used, in project and program management, along with examples of who does it well. Ricardo Triana is a seasoned Project Management Professional (PMP)® credential holder with more than 20 years of experience as consultant in organizational project management for private and government organizations across the United States, Europe and Latin America. He specializes in consulting and training about advanced project management topics (organizational project management, portfolio and program management, troubled projects and the strategic PMO), as well as interpersonal skills (change management, leadership, conflict management and negotiation). Mr. Triana has collaborated with large consulting firms at the regional and global levels, European financial services companies, and global online education providers. Currently he is President and Managing Director for Americas and Asia Pacific for Practical Thinking Group, a consulting firm that serves private and government organizations across Latin America, Brazil, North America, Europe and AP, managing several programs and projects across different industries, including government, mining, construction, telecomm, financial services, information technology and development projects. Additionally, he acts as a Project Management Advisor with the United Nations Office of Project Services and is a Program Management and Leadership Consultant with the InterAmerican Development Bank. 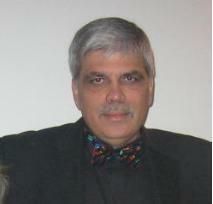 A Colombian and Mexican citizen and resident of the United States, Mr. Triana has lived and worked in several countries. He is fluent in English, Spanish and Portuguese; an intermediate level of fluency in French and Italian and has a basic knowledge of Greek and Latin. He holds a BSA with a focus on language and pedagogy. He is also a certified facilitator to improve communication and reduce conflict through the Strength Deployment Inventory. 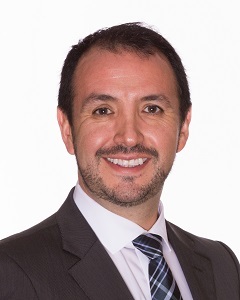 A member of the PMI Board of Directors 2010–2015, Mr. Triana was the 2014 Chair, 2013 Vice Chair, and 2012 Chair of the Strategy Development Oversight Committee. 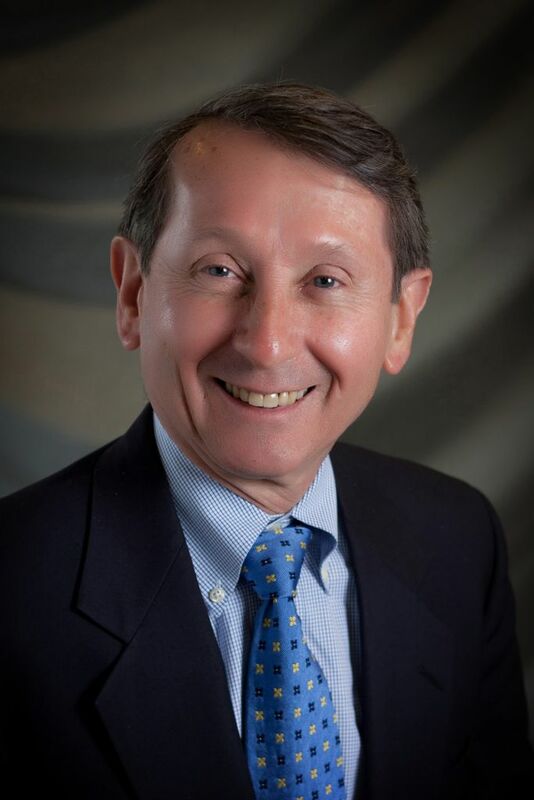 He is a graduate of PMI® Leadership Master Class, a former president of the PMI South Florida Chapter, and has held volunteer leadership positions with local and global communities, on standards projects (content provider for the PMBOK® Guide – Fourth Edition, quality control leader for OPM3® – Second Edition), and has actively supported the PMI global congresses. He frequently writes articles and delivers keynote speeches, and has been interviewed by several media outlets, including CNN en Español, Record TV in Brazil and other media in India, China, Argentina, México, Brazil, US and Colombia among others. Brian will cover the practical application of the Green Book 5 case model and learning from “Better Business Cases” in the kind of routine investment decision making faced by NHS Trusts every year. He will show how the Trust interpreted each stage of the 5 Case framework and combined input from clinical and non-clinical staff to develop the Outline Business Case. He will also discuss how an understanding of “Better Business Cases” helped improve the quality of the case and ensured decision makers had the right information to make the right decision for an investment in diagnostic services. PMO (Portfolio, Programme and Project Offices) is a common fixture within organisations that are focused on improving programme and project delivery, yet not enough focus is given to the people who work within a PMO. In this presentation, we take a look at the current day challenges that PMO practitioners face and investigate practical solutions which can make a positive impact on your PMO career. We also take a look at current and future trends, scanning the horizon to see what’s next for PMOs and show how PMO practitioners can start getting prepared. In a business environment where virtually every project, service and product relies on chains of suppliers working together, it’s scary just how many organisations pay too little attention to dedicated supplier management functions. Scarier still is how many try to manage suppliers with people who haven’t been given adequate or specific skills. This session will look at the keys to good supplier relationship management; Supplier segmentation, performance management, communication, organisational structure and collaboration. You’ll learn what global leaders in supplier relationship management look like and when and where to practice it. 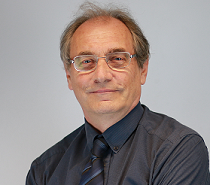 Franco Pittoni will draw upon his 42 years’ experience of successfully delivering planning and project controls solutions to address BIM with a light touch by making an analogy with the preparation of an award winning dish. Franco will start by describing what to prepare, how ingredients should be mixed and in what sequence and finish by serving up a mouth-watering feast. On a more serious note, during the presentation, references will be made to existing standards, codes of practice and concepts that are the basis of a sound BIM solution. The APM has recently issued its first definitive guide to planning and project controls; it is a practical guide aimed at project staff at all levels of experience. It was authored, peer reviewed by a wide range of cross industry organisations, and thus, it is hoped carries great weight. Paul and Simon will discuss their work on the book and what further work the APM is undertaking to raise standards. The talk also shows how good planning and controls can influence improved project performance – and what can go wrong when it is absent from a project. Paul is the Head of Project Control for Taylor Woodrow, the Civil Engineering division of Vinci Construction, part of one of the largest construction and concessions groups in the world. He has been involved in a wide range of complex projects under a variety of different contract forms, in a variety of sectors including high profile public buildings, office developments, railways and large civils projects. Clients have included Crossrail, Network Rail, LUL, Goldman Sachs, BAA and the Corporation of London. After a career in a variety of production roles, working up from an engineering role into project Management, Paul introduced the relatively unknown technique of Earned Value Analysis into, first the Project he was working on and then into the business. Simon is the Head of Planning for the High Speed Two (HS2) programme. He is responsible for the effective planning capability and maturity across all areas of the business as well as a planning community that spans across multiple organisations all working together to deliver Europe’s largest infrastructure programme. Prior to joining HS2 Simon was Head of Planning at Transport for London (TfL) where he was responsible for planning within capital projects across all transport modes, London Underground, Overground, Streets etc. across a varied portfolio of projects including; Rail, Heavy Engineering, Vehicles, Power & Communications, Signalling, Software, IT, People and Business Change. He was also heavily involved in planning and controls career development, including direct responsibility for the TfL planning apprenticeship. Initially working in the steel industry doing mechanical design and visualisation, Simon moved his focus to project management and planning in the rail and infrastructure sector and has worked on projects including the Victoria Line Upgrade. Simon is an active member of the APM and is Vice Chairman of the APM Specific Interest Group for Planning, Monitoring and Control and co-author of the APM handbook on Planning, Scheduling, Monitoring & Controls. The Guild is delighted to announce that this presentation will be given by Chris Carson – a world thought leader in Project Controls. Chris will explain why he is involved and has contributed to its written Standards and method of testing – competency based. The Guild has written Standards for all grades covering three areas of Project Controls – Planning and Scheduling, Cost Management and Forensic Analysis; It has the aim to be THE global Accreditation for Project Controls and supported as it is by many global Corporations and the Planning Planet website with over 100,000 members these aspirations are realistic and expected to be achieved. knowledge to reach a basic level of productivity within a set time frame. and gain in understanding of the company’s processes. Based on Polycom’s experience with Hydra, Nik Rosser will explore how standardisation can not only accelerate the on boarding process, but help new project managers to reach top performer in only 3 months. Can you cut it in Project and Programme Management? Can this quote provide an analogy of how to embed project management in organisations? This session explores this analogy and discusses the factors that are needed to make project and programme management work for your organisations. Chris is a co-founder and Director of Novare Consulting, which was set up in 2002 to provide project management training and consultancy services to clients. WE are accredited to deliver PRINCE2, PMI and APM qualifications in addition to being an AXELOS Accredited Consultancy Partner able to deliver P3M3 Assessments. As a result of his background and experience working for large consultancies delivering projects and programmes, Chris works closely with clients to deliver change programmes, such as developing and implementing a PPM Function across 3 continents for a leading aerospace plc. The Association for Project Management (APM) and recruitment experts Wellingtone Project Management recently published the APM Salary and Market Trends Survey 2016. Nearly 5,000 project management professionals participated making it the UK’s largest project management salary study to date. Wellingtone Project Management bring over 15 years of best practice recruitment expertise to complement the APM’s commitment to providing knowledge, standards and guidance to our industry. Vince Hines, Managing Director, Wellingtone Project Management will present the findings of this research, including salaries, contract rates and market confidence. This presentation lifts the lid on project management recruitment, pay rates, and what to consider when moving from permanent to contract work or vice versa. People are different – the way we make decisions, communicate, involve others and the materials we produce. Surprisingly these differences are not taken into account in how we describe what project management is and how it should be practiced. 3. Show you how to improve the design, adoption and use of PM frameworks and processes. If you plan to attend please complete the iMA Diagnostic at www.ima-pm.co.uk (free and takes only 3 minutes). 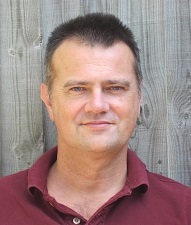 Adrian Dooley is the founder of Praxis Framework, a free on-line framework for the management of projects, programmes and portfolios (www.praxisframework.org) that includes a Body of Knowledge, Methodology, Competency Framework and Capability Maturity model. After a career in construction project management Adrian has held various roles in the profession including MD of The Projects Group, founder Director of Project Manager Today magazine and Executive Council Member of the APM. He is a non-Executive Director of the APM Group Ltd. and an Honorary Fellow of the APM. Donnie MacNicol is an experienced project and programme leader who is passionate about developing the leadership capabilities of individuals, teams and organisations in the private and public sector to deliver success. Widely recognized as contributing to the ‘people and organizational side’ of project management thinking, Donnie is much in demand as a consultant, facilitator, lecturer, speaker and author. Donnie leads Team Animation Ltd (www.teamanimation.co.uk) and is currently working with a diverse range of organisations to improve their delivery and leadership capability. Donnie Chairs the PMI Organisational Project Management Forum and is the co-author of Project Leadership 3rd Edition published by Gower. Over budget, over time, over and over again. Would the principles of MSP, PRINCE2 and PRINCE2 Agile have helped? Numbers of initiatives in public and private sector organisations are still failing to deliver on time, to cost and often not delivering the required outcomes & benefits. One of the key reasons for this is the application of poor or inappropriate governance. This presentation will discuss the key differences between programmes and projects. It will also address the key principles of Managing Successful Programmes, PRINCE2 and PRINCE2 Agile and how these can be tailored to suit the needs of an organisation; increasing the chances of success of their programmes and projects and minimising the levels of risk. People deliver projects; not processes, technologies or tools. It’s no coincidence that those organisations that recognise and invest in the development of their people report more successful project delivery performance. However, many organisations still lack an enterprise-wide approach to knowledge management and talent development, particularly related to project management. This session looks at strategies for improving and sustaining individuals’ project management skills and competencies and how to create an organisation-wide culture of sharing and learning lessons to drive project success and reduce the risk of failure. Ruth Phillips is an experienced Project and Programme Manager with a proven track record of contributing to successful business change initiatives in the public, private and third sectors. Ruth is also an Accredited Trainer and delivers courses and workshops at all levels within organisations, up to and including Chief Executive and Board level. She understands the importance of building project management capabilities, learning from organisational experience and developing a diverse range of talent to support the successful delivery of projects and the resultant changes and benefits. In this session Ranjit Sidhu identifies how companies can manage and empower the teams and leaders responsible for change. She addresses key themes for effective organisational change and achieving successful transformation. Ranjit founded the professional development company ChangeQuest to help organisations and individuals transform in today’s fast changing times. 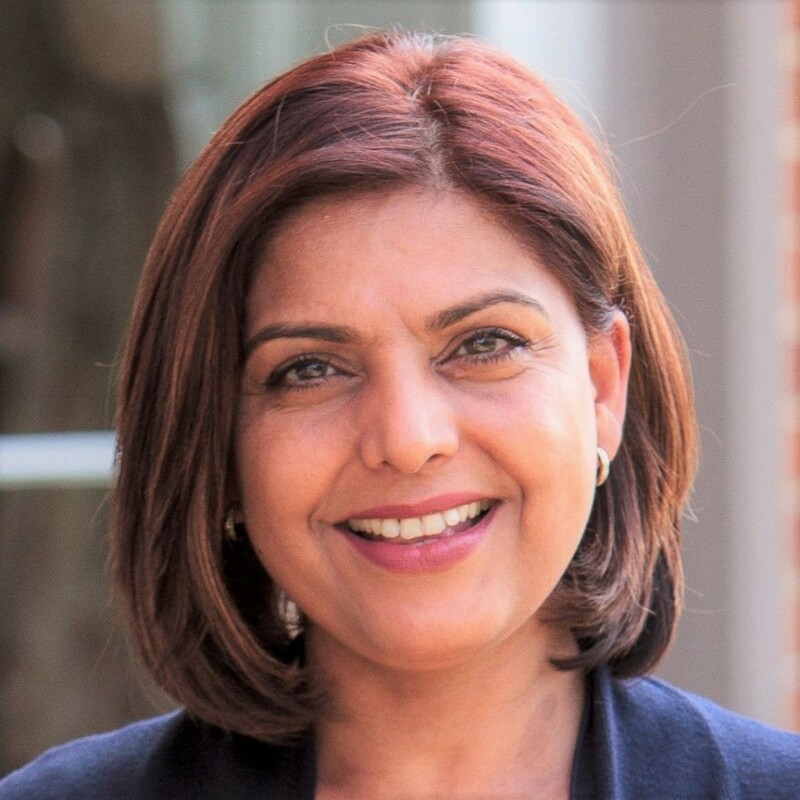 Skilled in the theory and practice of project management and organisational change management, and with a background in IT, she speaks with authority on the process and the behavioural side of managing business transformation. Her interest in neuroscience ensures that her knowledge is applied against the context of the latest thinking in business psychology. 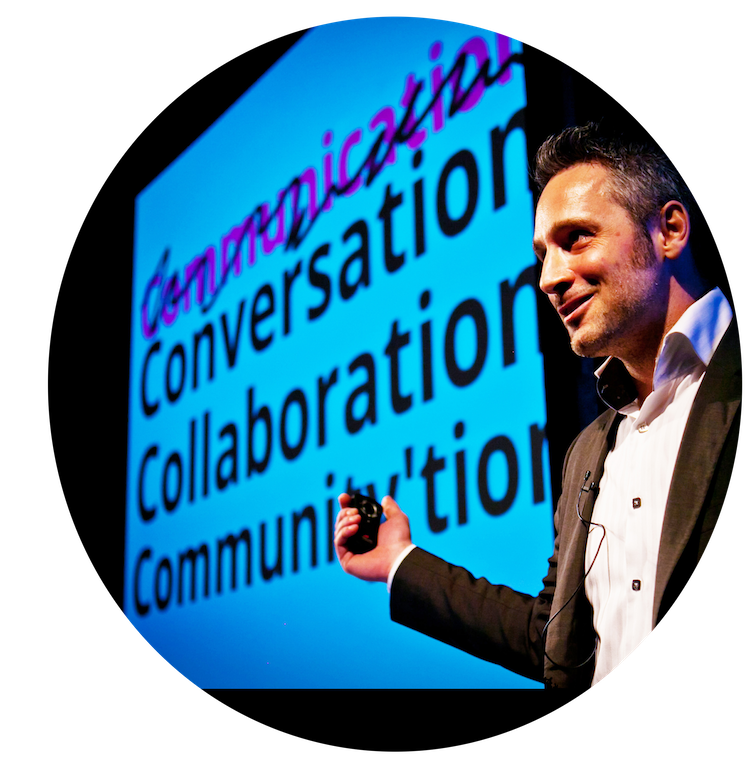 Ranjit is sought after as a talented speaker, facilitator, and writer. She was one of four expert editors of The Effective Change Manager’s Handbook, and authored the chapter on ‘Communication and engagement’. Ranjit was also a part of the team that developed the Change Management Body of Knowledge (CMBoK) from the Change Management Institute. She wrote the handbook Titanic Lessons in Project Leadership to highlight guidelines for effective communication and team building, and was a contributing author for the Gower Handbook of People in Project Management. Kraljic – is there benefit in using some standardised tools in the production of your business case? The presentation talks to some of the advantages of using the Kraljic Matrix. Cath Convery from Explosive Learning Solutions frequently runs workshops and training on strategy documents and recognises that for some learners understanding the theory behind what you are doing is an important step in true learning. This presentation uses case study examples to talk through one of the tools that is often used in the writing of the Commercial Case in the 5 Case Model. This session presents a brief overview of where knowledge of psychology can benefit the project manager at various points in the life-cycle (e.g. selecting staff, leading and motivating a team, influencing stakeholders, resilience, innovation etc). James encourages taking an evidence-based approach and giving critical consideration to models and solutions before adopting them. He then focuses on providing a basic understanding of underlying cognitive and neuroscience processes which can help project managers become more self-aware and effective in problem solving, decision making and approach to risk. James is a chartered occupational psychologist (registered with the Health & Care Professions Council). He has a PhD in psychology and an MBA. At an earlier stage in his career he was an IT project manager at British Airways and a business analyst at Cisco systems and has worked on systems to run online psychometric tests and surveys at business psychology companies SHL and YSC. At Self-insight, he works with a range of companies on selection processes, management assessment and development, performance management, team building and employee engagement. Introducing the PRINCE2 2017 update: What’s changed and what does this mean for you? Launching in June, the PRINCE2 2017 update will mark the arrival of a new PRINCE2 manual and updated Foundation and Practitioner examinations. Mike Acaster (AXELOS). The pair will shed light on the reasons behind the update, the key changes to the certification and how this might affect you. A reflection on the past and thoughts on the Future of Project Management – A call to action! Coming into its 25th year, APMG International takes stock of what we have learnt over the years and looks to the up and coming Project Managers of today to predict what changes need to be made to be successful in the digital world. Today APMG launches a call to action, if you would like to take part in shaping the future of Project Management or are interested in hearing from tomorrows experts join us to find out how. Learning PRINCE2 for the first time can be very exciting for some, as they’re eager to learn about a great project management method that provides guidelines for implementation back at work. However, others can be anxious about what’s to come — will they be able do it, will they understand the methodology, oh and then you have to take an exam… oh no! This session will step you through how easy PRINCE2 can be to learn. We’ll look at the basics of the framework without overcomplicating it, and provide you with some quick and easy-to-use hints and tips. Who knew that learning PRINCE2 could be this easy? Karen is a very enthusiastic and experienced trainer who specialises in PRINCE2® and M_o_R® (Management of Risk) training. She has a passion for designing and delivering training in a fun and easy manner, and as a result, she consistently receives above average feedback and exam results from her students. 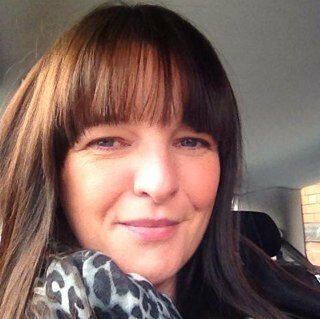 Before specialising in PRINCE2® training, which she has done for more than eight years, Karen worked for Yorkshire Electricity, Sheffield City Council and South Yorkshire Fire & Rescue. Karen has worked with, and supported, a variety of organisations including Lloyds, RBS, the International Atomic Energy Agency (UN), the FCA, Bloomberg, Dong Energy, Atradius Credit Insurance, ASDA and many more. Today we are seeing new trends in mobile learning, micro learning, virtual reality and gamification; but what about tomorrow? When we consider today’s customer review economy and the exponential growth in technology, how will project management professionals learn 50 years from now? Craig Kilford (CEO of CourseConductor.com and co-Author of Management of Portfolios) takes the audience on a futuristic journey, one that is defined by the sharing of training experiences and science fiction films. Craig Kilford is the Founder and CEO of CourseConductor.com. Whether it’s designing global standards in project portfolio management for the British Government, or working with Mayors to increase feelings of well-being across cities, Craig thrives on creating structures and communities that facilitate positive change. 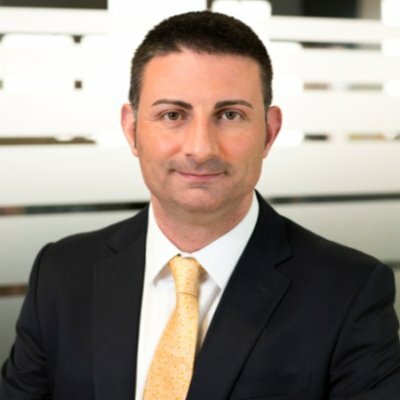 During his 20 years of project portfolio management experience, Craig has provided strategic executive consultancy to high profile portfolios in the private and public sector, as well as delivering keynote speeches on portfolio management and creativity across the United States, UK, Australia and Canada. Beyond being a published author, executive consultant and keynote speaker, he’s also an artist and has painted music live on stage alongside many of the worlds’ greatest musicians. Introducing the PRINCE2 2017 update – What’s changed and what does this mean for you? As a result of calls from the community, this latest iteration of PRINCE2 has been developed through close collaboration with project management professionals from a wide range of sectors. This has resulted in a thorough, evolutionary, update of PRINCE2. Our session will be led by two key influencers behind the PRINCE2 update, Andy Murray (RSM UK) and Chris Barrett (AXELOS). The pair will shed light on the reasons behind the update, the key changes to the certification and how this might affect you. “The standard for extraordinary project professionals” APM Registered Project Professional (RPP) is a pan-sector standard for those able to demonstrate the capabilities of a responsible leader, who have the ability to manage a complex project and use appropriate tools, processes and techniques. This presentation will look at the complexities of applying and achieving this standard and will give the listener advice about how to give themselves the greatest chance of success. 20|20 has proven expertise in the area of RPP support. It delivers Project Management training for all levels of project professional and for both individuals and large corporate learning programmes. Simon has project managed extensively in the public sector namely within the NHS and MoD. Now he works as a lead trainer and training manager for The Knowledge Academy. What his experience has taught him is many projects fail due to the inherent lack of focus on developing a success business case and therefore he spends a large percentage of his time consulting in business case best practice. By getting organisations from both public and private sector to focus resources in adopting an effective framework for the development of the business case can quickly generate improved value and ultimately project success. The Better Business Case course offers all these benefits. What does Agile mean for Business Analysts and how a BA adds more value on an Agile Project than you might expect. PRINCE2® it’s the natural choice…but supersize or skinny? And would you like something else to go with that? Join John Earwood as he shares a series of disruptive ideas for maximising project success that mix complimentary components into the PRINCE2® base, and deliver an extra shot of business impact across a range of project situations. 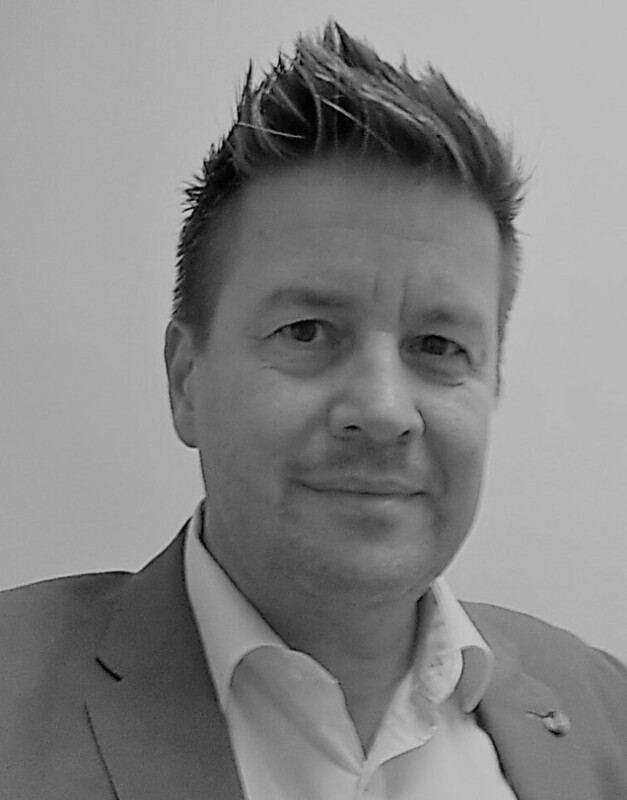 An experienced senior manager, researcher and developer, John is currently a principle ‘delivery management’ consultant with the ILX Group, and a member of the professional doctoral cohort at the University of Portsmouth Business School. His current research explores how progressive organisations are developing high-performing delivery capabilities by combining innovative organisational design with the latest project, programme, portfolio, and change management disciplines. Today he draws on his global consulting experience to show how imaginative use of the PRINCE2® methodology not only remains relevant for today’s organisations and practitioners, but can also be used to define many of the core ‘routines’ and ‘integrations’ required for tomorrow’s benefit-centric, delivery capabilities. It was just before Christmas one year and someone asked what a Project Manager’s festive song would be. I said “White Christmas” by Bing Crosby, as it reminded me about Project Sponsorship. As the lyrics go: “I’m dreaming of a white Christmas, just like the ones I used to know”, and I thought this rings true for Sponsors – “I’m dreaming of Project Sponsors, just like the ones I used to know”. And, just like a white Christmas, I hadn’t seen one in a while! This session looks at the importance of the role of the Project Sponsor on success. The first person to spot the additional Bing Crosby reference in the session will win a prize! 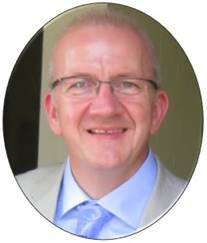 Ian is currently Head of Organisational Consultancy at QA Ltd. This session is aimed at all those people who are interested in learning and want to make sure they pick the best way to learn. Learning comes in so many forms and it can be difficult to pick what best suits to your needs. Come and join us for a fun filled session and understand the various ways people learn. Narinder is one of the Director’s at Simetral and an accredited trainer for PRINCE2®, Change Management®, AGILE®, P2Agile® and APMP. Over the past 12 years Narinder has been providing project management consulting to a number of organisations across a wide variety of industry sectors which includes local authorities, government and private sector companies. Prior to this her background was working on medium to large scale projects and programmes delivering business change. One of Narinder’s strengths is engaging her audience on her training sessions so that the delegate has the best experience possible. This is supported by the excellent feedback she continually receives. 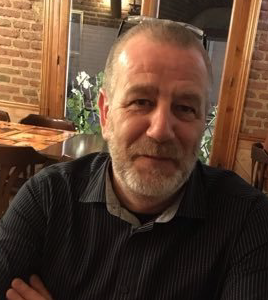 John, the author of the Arras People Project Management Benchmark Report (PMBR) for the last 12 years, will be exploring the data from the Arras People report along with data published by other sources to offer practitioners a view on the UK market and what this means for you! John Thorpe is the Founder and Managing Director of Arras People – the project management recruitment specialists. Arras People represents the third phase of John’s career which has previously seen him work in the UK’s manufacturing sector and in the professional services sector for global blue chip organisations. John is also the driving force behind the annual Arras People Project Management Benchmark Report which he manages and produces each year. Visit Arras People at the show and pick up your copy of the latest report. In this entertaining session, Ranjit shows us the different faces of resistance to change and asks ‘Can you recognise resistance when you see it?’. Certain behaviours are clear indicators of resistance to change, but can be difficult to identify. We know that people don’t always say what they are thinking, and people who are agents of change rely on being able to interpret the clues as to what stakeholders are really feeling. Emotional undercurrents turn into actions. Actions that may obstruct, divert or even sabotage planned changes if they remain unchecked. Join Ranjit and get behind the scenes of resistance to change. Working in project and change management for over 25 years, across different continents and with diverse cultures, I became fascinated by what makes people tick. I found I was continually bridging the gap between the process side of delivering projects and the need to bring people along on the journey so they would embrace what was delivered. This experience, combined with a deep heart-felt desire to support others to learn and grow led me to set up ChangeQuest 10 years ago. We provide training and support to help people manage projects and change more effectively and with less stress. On my own quest for learning and growth, gaining qualifications aside, I co-edited the Change Management Body of Knowledge and The Effective Change Manager’s Handbook, which is the source text for APMG International’s Change Management Practitioner certification and wrote the handbook Titanic Lessons in Project Leadership. Project and Programme Management is changing. How can the AXELOS PPM portfolio support our profession as we enter a critical 5 year period? AI, new tools, changed approaches and different team cultures make for a challenging environment. Best practice will be more relevant than ever before, and to continue to develop practitioners and organizations around the world, AXELOS will continue to evolve our recognized best practice solutions. This session will give a snapshot into the exciting future of the AXELOS PPM portfolio and, most importantly, how we need you to get involved. 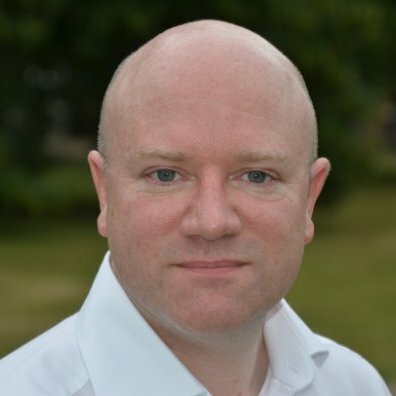 Cameron Stewart is the Head of PPM Product Development at AXELOS Global Best Practice. His portfolio currently includes PRINCE2®, PRINCE2 Agile®, MSP®, M_o_R®, P3O®, the P3M3® model and assessments, MoV® and MoP®. Cameron has over ten years’ experience as a consultant and trainer for project, programme and portfolio management. Yielding this, Cameron is responsible maintaining and updating the best practice suite of PPM products, ensuring that AXELOS remains the market-leader in management guidance, accreditation and certifications. and that they can truly provide value. As an APMG Accredited Training Organisation, The Knowledge Academy offers training for the full range of Managing Benefits certifications, as well as others such as Change Management and Better Business Cases. Delivering the Value! From blue sky strategy to money in the bank. You have heard in the past how the Better Business Case Course came about (particularly because of the large number of public procurement where the business case wasn’t as clear as it should be, and the contract has not managed to deliver the benefits expected). 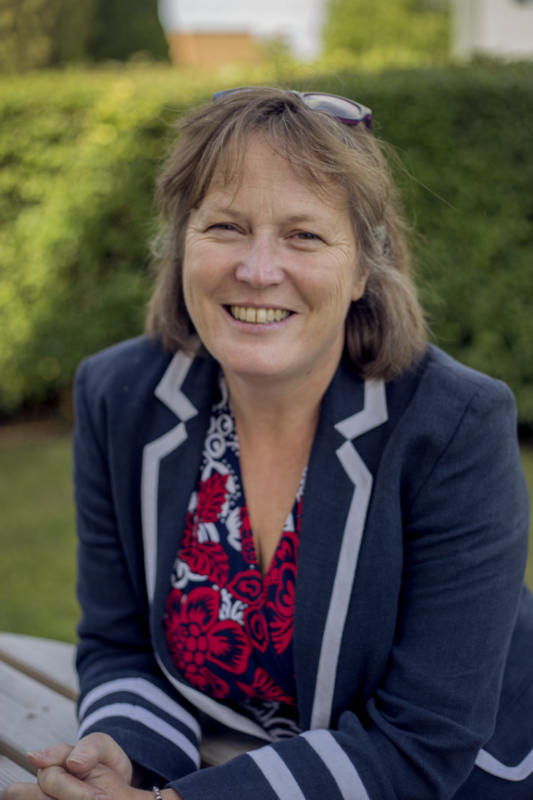 Cath Convery, of the learning and development consultancy Explosive Learning Solutions (ELS), will be talking about the ‘Better Business Cases™’ model at Project Challenge. Cath explained, “Better Business Cases™ is a systematic and objective approach to all stages of the business case development process. Success is a continuing thing. It is growth and development. Today’s Project Manager must work smarter than ever before and wear many different hats. Project Manager’s need to become more agile, flexible and demonstrate value. Businesses need frameworks which can flex and scale. APM Group is at the heart of leading the response to deliver meaningful courses and qualifications. In conjunction with other stakeholders we will be pleased to showcase our approach to strengthening the portfolio of qualifications available to everyone engaged in delivering value worldwide. Tinker, Tailor, Teacher, Trainer. How many hats can you wear at the same time? A smörgåsbord is a type of Scandinavian meal, originating in Sweden, served buffet-style with multiple hot and cold dishes of various foods on a table. You don’t have to eat it all, and you don’t have to take every option, you just take the most nutritious and delicious pieces that will satisfy your taste. Similarly, you may not need the plethora of project management approaches that are available to satisfy your project appetite. Perhaps you would benefit from a small piece of each. This presentation will look at how methods and approaches from APMG, AXELOS, APM and PMI work together. From Portfolio to Programme, Project to Agile, Risk to Change – bring your plate for an informative overview. All attendees can register for free Introduction e-learning for PRINCE2, MSP, APM, PRINCE2 Agile, AgilePM and ITIL. Building your Agile Competence…in an Agile Way! Deciding on what learning is needed to build sustainable capacity and competence in Agile can be anything but, well, Agile! This presentation introduces a brand new Agile competence framework developed exclusively by QA agile subject matter experts. 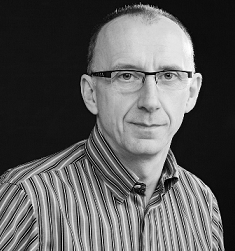 Phil has been involved in software development, consultancy and training for almost 30 years. With a passion for helping others to learn, Phil has designed and delivered training programmes across many sectors including financial, manufacturing, engineering and service. Since May 2016, Phil has led the Agile practice at QA. In this role, he is responsible for developing the curriculum and the team who deliver it. He also authors new content and acts as a Product Owner for other authors. Agile teams are rarely effective unless the organisation has an Agile friendly culture Phil and his team engage with senior stakeholders to help develop an Agile culture and an understanding of Agile practices at all levels across the organisation. This can then be followed by role specific training and coaching. Phil regularly works with agile teams, helping them to implement Scrum, Kanban and other complementary practices such as Test Driven Development – TDD. He also works with Project managers to help them manage their projects in a more Agile way. His latest project is to lead the development of a unique Agile Project Management Competency framework. This tool will be used to help clients establish the competencies of their Agile project managers and identify training and support to fill any gaps. What happens when individual entrepreneurs lead change, and why do we need our large organisations to survive? High profile individual investors and entrepreneurs are increasingly the drivers of business and societal change. What happens when they find efficiency that existing market participants can’t? Should we simply accept that some large corporate organizations and government institutions are destined to fail? Or can very large organisations change quickly enough and positively enough to survive the next 5 to 15 years? Learn the basics from an expert. Written for anyone new to projects or wishing to progress their career as a project professional, Starting Out in Project Management is the perfect companion for any aspiring project manager keen to make their mark on this exciting and rewarding profession. The authors chart the journey of the APM project life cycle, from concept through to delivery and handover, covering all the fundamental features of project management. Peter Simon has worked in project management for over 35 years in most industries and business sectors. He started work as a planning engineer and then became a project services manager. He is a director of Lucidus Consulting Limited and works as a consultant and trainer in all aspects of project and programme management. He also teaches project management at Cranfield School of Management and Aalto University in Finland. Peter has twice served on the APM Board and was previously a chairman of the APM Risk SIG and project manager for APM BoK 5. Working within a PMO has become a career of choice for many people who prefer playing a role in making portfolios, programmes and projects more successful in an organisation. Over the years we’ve seen so many different types of opportunities and career paths open up for people in PMO and in this session we bring insights into how you can further develop your career in PMO. Top tips on how experienced PMO practitioners stand out and develop their careers professionally. Lindsay Scott is the founder of PMO Flashmob, The PMO Conference and is a Director at PMO Learning. Lindsay’s previous career includes Director of Arras People, the UK’s project management recruitment specialists and was previously a PMO Manager for Hewlett-Packard in the UK. Agile Project Management: why has it become so popular and how can you get the most from it! In recent years Agile Project Management has become an important part of many organisation’s Agile toolbox. The AgilePM qualification has become the benchmark against which ‘project style’ Agile is measured and is APMG’s fastest growing product. This presentation will create a clear understanding of how Agile Project Management operates and how it relates to the other well-known frameworks such as Scrum and Kanban. It will explain when to use it and when NOT to use it. It will look at the key areas you need to get right in order to maximise its potential and it will also identify the main risk areas that can make your life very difficult if you ignore them. Above all, this presentation will look to explode the many myths surrounding the use of Agile in a project context and you may be very surprised by some of the things you will hear. In today’s world you MUST know how to run projects that come in ‘on time’ without compromising the quality of what you are delivering. Why not come along and find out more…? Keith has over 30 years’ experience in I.T. and project management. He has been a PRINCE2® trainer is an accredited PRINCE2 practitioner. He is also an accredited DSDM Advanced Practitioner and Trainer and IAF Accredited Facilitator. He has been the technical director of the DSDM Consortium and lead author for DSDM Atern, a project focussed agile framework, that is now more commonly known as AgilePM®. He also authored the book ‘Agile Project Management: Running PRINCE2 projects with DSDM Atern’ and helped develop ‘Agile Project Management (AgilePM)’, the agile qualification from the APMG. Keith was awarded the ‘Most Valuable Agile Player’ at the UK Agile Awards was selected by AXELOS to be the lead author for PRINCE2 Agile®. Adrian Dooley is the lead author of the Praxis Framework™, the world’s first free framework that encompasses the management of projects, programmes and portfolios. With over 40 years’ experience in the industry, Adrian has seen many fads come and go with little impact on the overall quality of project management. This session looks at the simple things that can really make a difference and how you can start these the morning after the presentation. 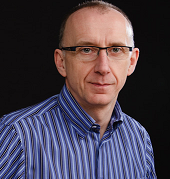 Adrian Dooley is the lead author of the Praxis Framework, the world’s first free framework that encompasses the management of projects, programmes and portfolios. Originally a construction project manager, he became involved in the development of project planning software for PC’s in the 1980’s. In 1984 he set up a training and consultancy company, The Projects Group, and ran that until its sale in 2008. Adrian was a founding member of Project Manager Today Magazine and Project Management Exhibitions Ltd. From 1996 to 2000, he served on the APM Council and during that period was the Head of Professional Development. With over 40 years’ experience in the industry Adrian is well placed to discuss the evolution of project and programme management and what can really make a difference. How do you improve your agile skills? Which of the following stages would you put your agile resources at: unconscious incompetence? Conscious incompetence? Conscious competence? Or Unconscious competence? More importantly, how do you come to this conclusion – how do you determine your resources agile competence? This presentation introduces a brand new Agile competence framework developed exclusively by QA agile subject matter experts. This session will describe the composition of the Agile competence framework, and then discuss some of the practical challenges of using it to ensure a robust set of information to base learning and resource management decisions on. Wellingtone recently launched their brand new PMO Practitioner training course and are delighted that this has successfully been Accredited by the APM, the first of its type in the UK. Co-author of this course, Emma-Ruth Arnaz Pemberton, will present an important topic from the course; “The PMO Value”. Take this opportunity to hear from one of the UK leaders in the PMO and gain practical insight into how you can ensure your PMO adds value to your organisation. This session introduces the key principles of PM4SD to influence success of sustainability initiatives in project design, delivery and management, placing an emphasis on long-term multi-stakeholder engagement and beneficiaries. PM4SD establishes the importance of underpinning international and national sustainability policies delivered using an appropriate range of project management tools and techniques for managing projects and associated workloads with sustainability criteria. An evaluation of sustainable development indicators useful to projects and the application of fundamental principles of PM4SD to project delivery through Work Based Learning and Planning demonstrates how an organisation can begin to adopt and implement sustainable project management principles. In 2016 Sheena helped to establish the Regeneration Research, Enterprise and Education Hub (RREE Hub) at Cardiff Metropolitan University as a multi-disciplinary network and hub to support shared knowledge with communities in South Wales to support community regeneration projects and programmes. She is also developing student action research and learning, skills based case studies and tools in Project Management and Enterprise development in sustainable development and regeneration contexts in partnership via the RREE Hub and Erasmus+ skills development projects with the third sector, industry and higher education institutions. Teaching experience includes a wide range of academic subjects including Business and Tourism Ethics, Crisis, Risk and Strategic Change Management, Marketing, Sustainable Tourism and Destination Management. Whether you are new to PRINCE2, or are looking at refreshing your knowledge, this presentation takes you through the PRINCE2 method in just 40 minutes. This presentation has a high level of content, delivered at a rapid pace. So prepare for a high level of knowledge transfer. WARNING: PRINCE2 Supersonic is presented at the speed of sound. Grab a coffee, take your seat and don’t get left behind. In this session Learning Tree Consultant John Moore will introduce you to the PRAXIS framework and the opportunity to fully optimise all aspects of project, programme and portfolio delivery with the free, community driven digital Praxis Framework. Combining the four pillars of effective project delivery; Knowledge, Method, Competency and Capability – Praxis is the first framework to integrate projects, programmes and portfolios into a single digital guide. By covering the full breadth of guidance needed for effective project management within a single framework – Praxis is the most efficient means of delivering projects and programmes. What’s more PRAXIS certified training and Foundation and Practitioner level certification are available. His career began as a programmer writing Telemetry control systems for the power industry, one of which controlled the hydro-electricity in New Zealand. Taking on the role of Lead Project Manager for a software development company introduced him to the commercial and local government sectors. Specializing in integrated systems the need for a solid project management approach was essential and tailoring PRINCE2 and PMI were the backbone of the end to end delivery. Combining consultancy and training has led him to leading courses across the world in project management, program management and business analysis – this includes requirements, risk and change. Still retaining the IT skills has led to work in Business Intelligence – solutions from the original business idea through to delivery, deployment and benefits realization. Extensive consultancy assignments for organisations such as the UN in New York and across Europe, the MOD, NATO as well as commercial organisations has given him a broad view of the business approach to delivery and the PRAXIS framework has become part of his extensive tool set. Recent assignments has been mentoring, coaching and training for an investment bank. integrating the traditional approach with agile delivery. With any spare time he has recently been exposed to golf and African drumming! APM recently opened the register for applications to become a Chartered Project Professional. Find out about the development of the Chartered Standard, the benefits for the profession, for employers and for you as an individual. Interested in applying to become a Chartered Project Professional? This session will also give an overview of the routes to achieving the Chartered Project Professional Standard and how to apply. 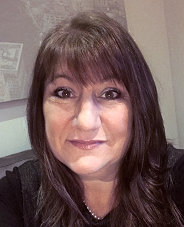 Gill is a Fellow of APM, with a number of qualifications in project management, an honours degree in European Studies, a post graduate diploma in careers guidance and over 20 years’ experience in assessment, qualifications advice, development, management and project management. In this session, Lindsay takes a look at the four different career levels of PMO professionals and the two different employment types – contract and permanent – to give insights and advice on advancing your PMO career. Regardless of where you are now in your career, this session should appeal to anyone currently working in the PMO field. Join Lindsay as she shares what organisations are looking for in their PMO hires; the knowledge and experiences needed to carve out a long and fulfilling PMO career – and shares the practical steps you can take to advancing your PMO career – in both permanent and contracting roles. The session will begin with a brief look at how the role of Agile coach has changed over time as more and more people have become familiar with a more agile way of working. From there, we’ll discuss whether the role of a coach is still valid in an agile environment in 2018, followed by a solid coaching process to help attendees play the role of coach in their own agile project teams, regardless of how formal the coach role is. Finally, there will be some take-away templates for people to action immediately back in the office. After studying music, Neil Shorney realised he was never going to be the next Pavarotti, Nigel Kennedy or Brian May, so got a job business. Neil spent 2 years as an Energy Broker before moving into IT Sales before joining ESI International, the world’s largest Project Management training and consulting company. Starting as a salesperson and quickly progressing to sales manager, Neil created an international team of 8 salespeople selling project management solutions across EMEA. A love of developing others prompted Neil to set up his own training and coaching business in 2011, which he ran part-time until 2017 when he left ESI to pursue a career as a sales, leadership and business skills trainer. Neil has a passion for bringing different parts of a business together, particular sales and project management, through both training and coaching. He has trained professionals from SMEs up to the world’s largest corporations such as Shell, European Central Bank, HSBC and Novartis to help them become more successful through sales, leadership, coaching and communication skills. This is a very exciting time for Project Management with the Chartership elevating us to be a profession in our own right. So, whether you are developing your own career or supporting the development of others, the question remains “How do practitioners develop their project management careers”? Novare Consulting have supported many organisations to develop their own PPM functions and roles and have also helped to develop the careers of thousands of PPM professionals. We will use this experience to explain how to approach the development of your own and your organisation’s PPM career approaches. 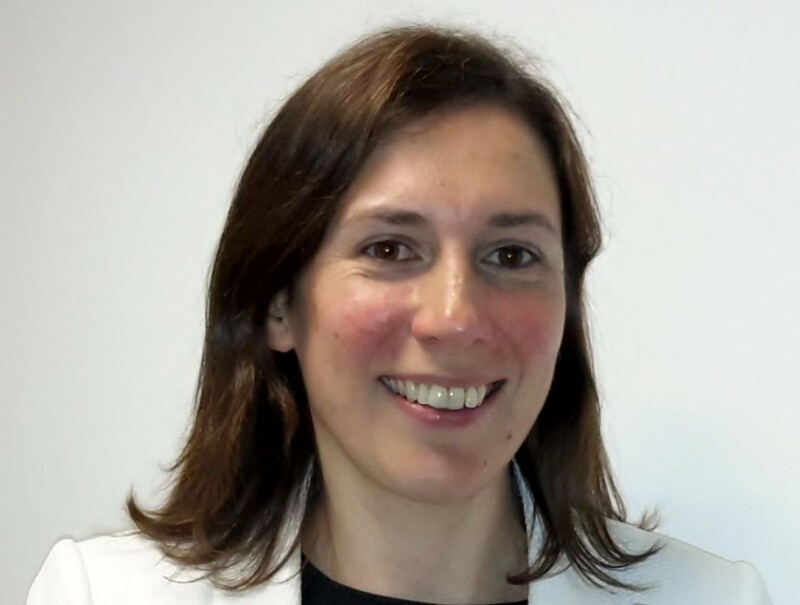 Sian is a co-founder and Director of Novare Consulting, which for the last 15 years has specialised in providing project and programme management training and consultancy services to clients. Novare Consulting are accredited to deliver all of the main PPM qualifications and have an unrivalled service in providing bespoke training solutions which integrate with an organisation’s approaches and culture. Sian started professional life in IT over 30 years ago and moved into project management as the profession grew. Sian leads our training practice, working with clients to design training programmes that meet their needs. She also advises on the development of competence frameworks, PM career structures, coaching and mentoring. 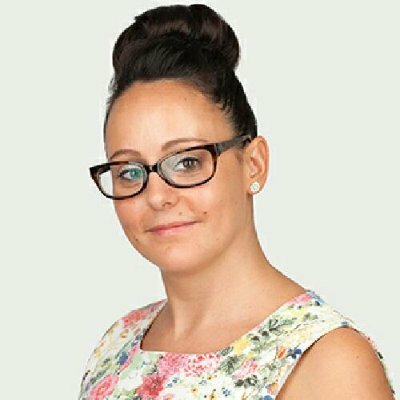 Sian directs our delivery of various project management academies for clients including Siemens, Rolls Royce, Meggitt, Cobham and many more. 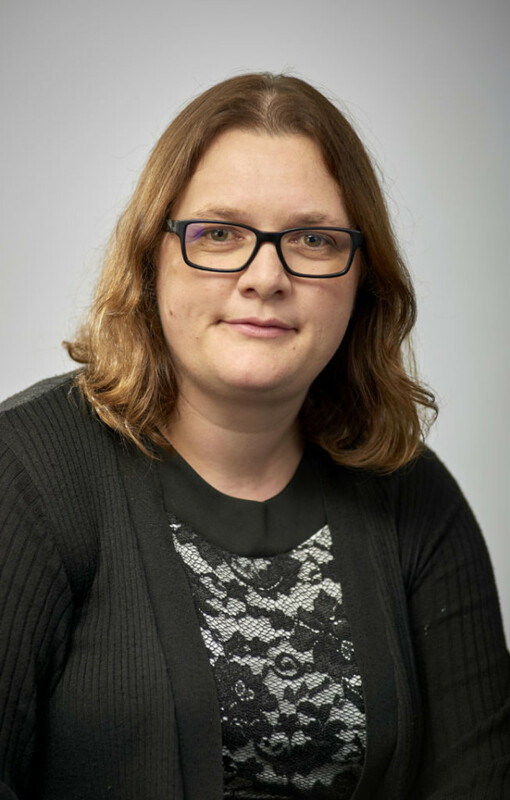 Sian is responsible for maintaining all our accreditations and has a close working relationship with the professional bodies particularly APM, AXELOS and APMG International whom she works with on qualifications and competence frameworks. She is a MSP Practitioner and certified to deliver Myers-Briggs MBTI and Belbin assessments and training. She will draw on this rich experience to explain how to develop your PPM careers in this year’s Project Challenge. Is it really a Candidates Market? In this session, John takes a look at the phases of the recruitment cycle and the impacts they have on both job seekers and those looking to hire. Some observers say that 2018 has seen the market move to a “Candidates Market” but what does that really mean and will it impact you? Join John as he explores the language of the market and examines why the current market is confounding so many experts. He will also draw on data from the 2018 Arras People Project Management Benchmark Report to see its impact remuneration for practitioners working in both permanent and contracting roles. John Thorpe is a director of Arras People, the Project Management Recruitment company and the author of the Arras People Project Management Benchmark Report. What do you need to think about to get a great PMO role? In this session, Lindsay takes a look at the CV, the social media present, reading adverts, training & development, knowing what you’re selling and understanding how employers hire PMO people. It’s a whistle stop tour with lots of practical insights, tips and things you can put into practice straight away. David will talk about the evolution of the project management profession and the shift from 2nd career PMs to the current era where PMs are more frequently coming straight from education. He will talk about his own apprenticeship journey to his current role as head of project management at WYG which will be set against the more traditional academic route. The session will then cover some of the benefits of modern apprenticeships from an employer’s perspective before one of his current apprentices provides a view of life as a PM apprentice. Finally, Dave will talk about some of the initiatives with WYG to allow their emerging talent to shape the future of the business before being available for a short Q&A session. Having worked his way through the ranks at WYG, Dave leads WYG’s award winning project management team; a successful growing team with over 130 project managers across nine countries and a variety of sectors. He is a professionally qualified project manager (APM PMQ) & programme manager (MSP Practitioner), a full Member of Association for Project Management (MAPM) and an ex Chartered Engineer (MCIBSE). He has recently joined the APM Wessex Branch Committee and is an Ambassador of the APM Education Group. Dave has a wide range of experience working on projects within most sectors spanning a period of more than 25 years. Having commenced full time employment on his 16th birthday as an engineering apprentice at British Gas and subsequently as an employer of modern apprentices, David has first-hand experience of the benefits of today’s apprenticeships for both the employer and employee. Paul is Managing Director of SPOCE – the World’s first PRINCE2 accredited training organisation. Paul has been a PRINCE2 approved trainer for over 18 years, and has worked with hundreds of organisations in developing and implementing best practice project and programme management. What are the essential working life skills that are required to succeed, both today and in the future? Veijo Hytti, CEO of Keto Software, will present his view on how working life will change and what that means for each of us. Beyond the buzzwords and trendy methodology terms, you will discover the real skills that are needed to succeed as a true professional in project and programme management. Veijo’s approach has a strong Scandinavian and Finnish approach. Human skills will be more and more valuable, even if the technology talk is dominated by AI, machine learning, VR and gaming. Veijo is an inspiring entrepreneur and shares his view on building successful teams and businesses. In this session, John will explore the current market conditions in the UK for project management practitioners for both job seekers and those looking to hire. Some observers continue to say we are in a “Candidates Market” but does the data support that view? More importantly how is this impacting practitioner remuneration after many years of stagnation? Join John as he explores the latest market data and examines what the current market conditions could mean for you. He will draw on data including the 2019 Arras People Project Management Benchmark Report to explore the latest trends in remuneration for practitioners working in both permanent and contracting roles. Chartered Project Professional (ChPP) is a professional standard that the Association for Project Management (APM) launched in May 2018. Find out about the development of the chartered standard, the benefits for the profession, employers and you as an individual. Interested in applying to become a Chartered Project Professional? This session will also give you an overview of the routes to achieving chartered status and how to apply. How do PMOs measure how useful they are to the business – the value they bring, the benefits they deliver? Why should the PMO even measure in the first place – who are we measuring for, who actually cares and ultimately how do you know if your PMO is successful? In this session from PMO Flashmob we share the latest insights from the Inside PMO Report produced specifically to explore and answer these questions. The Report is produced following the PMO Manager’s Lunch – an annual event designed to find out what real PMO practitioners do in their day-to-day work. PMO Flashmob is run by Lindsay Scott and Eileen Roden – it’s the networking and learning group for PMO professionals. They also manage PMO Learning, the training and development organisation focused on PMO. Project Methodologies do not get changes delivered, people do. Change leaders don’t achieve it with change models and in cascade briefings, they do it on the ground, in real conversations with their stakeholders. Those stakeholders who will ultimately deliver the change, and those all important benefits. At this session, we won’t just talk about change, you will watch it happen, in a scenario played out by professional actors, with audience interaction from where you sit. We will explore resistance, in all its forms, and you can ask to see, played out for you, the resistant behaviour that you personally encounter with your own stakeholders. We will work on how successful change leaders identify and deal with it. We will make the case that resistance is good, to be relished and sought out. There will be debate, laughter, and serious learning. And not a lot of Powerpoint. No one will be bored, we promise. People Deliver Projects are exhibiting on Stand 28.